MelonSoup develops and publishes games for mobile devices. In this policy, “MelonSoup” may also refer to “MELONSOUP”, “We” or “Us”. Subject to the terms of this Agreement, MelonSoup grants you a non-transferable, non-exclusive, license to (a) use for your personal use, and (b) copy, for the purpose of downloading, installing and executing, the number of copies for which you are authorized by the download site of each App on a mobile device that you own or control for your use (the “License”). MelonSoup reserves the right, at any time, to modify, suspend, or discontinue the Apps or any part thereof with or without notice. You agree that MelonSoup will not be liable to you or to any third party for any modification, suspension, or discontinuance of any App or any part thereof. Apps provided to you are licensed to you and not sold. MelonSoup (and its licensors, where applicable) own all right, title and interest, including all related intellectual property rights, in and to all Apps, excluding your User Content (defined below). This Agreement is not a sale and does not convey to you any rights of ownership in or related to any App. The MelonSoup name, logo, and the product names associated with the Apps belong to MelonSoup (or its licensors, where applicable), and no right or license is granted to use them by implication, estoppel or otherwise. MelonSoup (and its licensors, where applicable) reserve all rights not granted in this Agreement. “User Content” of a user means any and all content that such user uploads, distributes, or otherwise provides via any App. You are solely responsible for your User Content. You assume all risks associated with use of your User Content, including any reliance on its accuracy, completeness or usefulness by others, or any disclosure of your User Content that makes you or any third party personally identifiable. You hereby represent and warrant that your User Content does not violate the Acceptable Use Policy (defined below). You may not state or imply that your User Content is in any way provided, sponsored or endorsed by MelonSoup. MelonSoup is not obligated to backup any User Content and User Content may be deleted at any time. You are solely responsible for creating backup copies of your User Content if you desire. By uploading, distributing, or otherwise using your User Content with any App, you automatically grant, and you represent and warrant that you have the right to grant, to MelonSoup an irrevocable, nonexclusive, royalty-free and fully paid, worldwide license, with the right to grant sublicenses, to reproduce, distribute, publicly display, publicly perform, prepare derivative works of, incorporate into other works, and otherwise use your User Content, solely to display your User Content on any App. 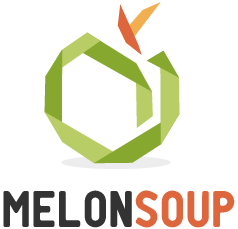 If you provide MelonSoup any feedback or suggestions (“Feedback”), you hereby assign to MelonSoup all rights in the Feedback and agree that MelonSoup shall have the right to use such Feedback and related information in any manner it deems appropriate. MelonSoup will treat any Feedback you provide to MelonSoup as non-confidential and non-proprietary. You agree that you will not submit to MelonSoup any information or ideas that you consider to be confidential or proprietary. 3.3 We may (a) suspend your rights to use any App, and/or any related services or (b) terminate this Agreement, at any time for any reason at our sole discretion with or without notice to you, including if we in good faith believe you have violated the Acceptable Use Policy or any other provision of this Agreement. Without limiting the foregoing, MelonSoup reserves the right to terminate its Agreement with any user who repeatedly infringes third party copyright rights upon prompt notification to MelonSoup by the copyright owner or the copyright owner’s legal agent. 3.4 Upon termination of this Agreement, your right to use the App will automatically terminate immediately. You understand that any termination may involve deletion of your User Content associated therewith from our live databases. MelonSoup will not have any liability whatsoever to you for any termination of this Agreement, including deletion of your User Content. Even after this Agreement is terminated, the following provisions of this Agreement will remain in effect: Sections 1.2, 1.3, 1.4, 1.5, 2, 3.4, 4, 5, 6, 7, 8, 9, and 10. You agree to defend, indemnify and hold harmless MelonSoup (and its suppliers) from and against any claims, suits, losses, damages, liabilities, costs, and expenses (including reasonable attorneys’ fees) brought by third parties resulting from or relating to: (i) your use of any App, (ii) your User Content, or (iii) your violation of this Agreement. MelonSoup reserves the right, at your expense, to assume the exclusive defense and control of any matter for which you are required to indemnify MelonSoup and you agree to cooperate with our defense of these claims. You agree not to settle any matter without the prior written consent of MelonSoup. MelonSoup will use reasonable efforts to notify you of any such claim, action or proceeding upon becoming aware of it. You acknowledge and agree that the availability of the App is dependent on the third party from which you received App, e.g., the Apple iPhone or Android stores (“Application Store”). You acknowledge that this Agreement is between you and MelonSoup and not with the Application Store. The Application Store is not responsible for the App, the content thereof, maintenance, support services, and warranty therefor, and addressing any claims relating thereto (e.g., product liability, legal compliance, or intellectual property infringement). You agree to pay all fees charged by the Application Store in connection with App (if any). You agree to comply with, and your license to use App is conditioned upon your compliance with, all applicable third party terms of agreement (e.g., the Application Store’s terms and policies) when using App. You acknowledge that the Application Store (and its subsidiaries) are third party beneficiaries of this Agreement and will have the right to enforce this Agreement. An App may contain User Content provided by other users of the App. MelonSoup is not responsible for and does not control User Content. MelonSoup has no obligation to review or monitor, and does not approve, endorse, or make any representations or warranties with respect to User Content. You use all User Content and interact with other users at your own risk. Your interactions with other users are solely between you and the other user and we are under no obligation to become involved. You agree that MelonSoup will not be responsible for any liability incurred as the result of any such interactions. 6.1 APPS ARE PROVIDED “AS-IS” AND AS AVAILABLE AND MelonSoup (AND ITS SUPPLIERS) EXPRESSLY DISCLAIM ANY WARRANTIES AND CONDITIONS OF ANY KIND, WHETHER EXPRESS OR IMPLIED, INCLUDING THE WARRANTIES OR CONDITIONS OF MERCHANTABILITY, FITNESS FOR A PARTICULAR PURPOSE, TITLE, QUIET ENJOYMENT, ACCURACY, OR NON-INFRINGEMENT. MelonSoup (AND ITS SUPPLIERS) MAKE NO WARRANTY THAT ANY APP: (A) WILL MEET YOUR REQUIREMENTS; (B) WILL BE AVAILABLE ON AN UNINTERRUPTED, TIMELY, SECURE, OR ERROR-FREE BASIS; OR (C) WILL BE ACCURATE, RELIABLE, COMPLETE, LEGAL, OR SAFE. 7.1 IN NO EVENT SHALL MelonSoup (OR ITS SUPPLIERS) BE LIABLE TO YOU OR ANY THIRD PARTY FOR ANY LOST PROFIT OR ANY INDIRECT, CONSEQUENTIAL, EXEMPLARY, INCIDENTAL, SPECIAL OR PUNITIVE DAMAGES ARISING FROM OR RELATING TO THIS AGREEMENT OR MelonSoup’S PRIVACY PRACTICES, ANY APP, EVEN IF MelonSoup HAS BEEN ADVISED OF THE POSSIBILITY OF SUCH DAMAGES. ACCESS TO, AND USE OF, ANY APP ARE AT YOUR OWN DISCRETION AND RISK, AND YOU WILL BE SOLELY RESPONSIBLE FOR ANY DAMAGE TO YOUR COMPUTER SYSTEM OR MOBILE DEVICE OR LOSS OF DATA RESULTING THEREFROM. NOTWITHSTANDING ANYTHING TO THE CONTRARY CONTAINED HEREIN, MelonSoup’S¬ LIABILITY TO YOU FOR ANY DAMAGES ARISING FROM OR RELATED TO THIS AGREEMENT OR MelonSoup’S¬ PRIVACY PRACTICES (FOR ANY CAUSE WHATSOEVER AND REGARDLESS OF THE FORM OF THE ACTION), WILL AT ALL TIMES BE LIMITED TO THE AMOUNT YOU’VE PAID MelonSoup IN THE PRIOR 12 MONTHS (IF ANY). IN NO EVENT SHALL MelonSoup’S SUPPLIERS HAVE ANY LIABILITY ARISING OUT OF OR IN ANY WAY CONNECTED TO THIS AGREEMENT. 10.1 Acknowledgement : MelonSoup and you acknowledge that this Agreement is concluded between MelonSoup and you only, and not with Apple, and MelonSoup, not Apple, is solely responsible for App and the content thereof. To the extent this Agreement provides for usage rules for App that are less restrictive than the Usage Rules set forth for App in, or otherwise is in conflict with, the Application Store Terms of Service, the more restrictive or conflicting Apple term applies. 10.2 Scope of License : The license granted to you for App is limited to a non-transferable license to use App on an iOS Product that you own or control and as permitted by the Usage Rules set forth in the Application Store Terms of Service. 10.3 Maintenance and Support : MelonSoup is solely responsible for providing any maintenance and support services with respect to App, as specified in this Agreement (if any), or as required under applicable law. MelonSoup and you acknowledge that Apple has no obligation whatsoever to furnish any maintenance and support services with respect to App. 10.4 Warranty: MelonSoup is solely responsible for any product warranties, whether express or implied by law, to the extent not effectively disclaimed. In the event of any failure of App to conform to any applicable warranty, you may notify Apple, and Apple may refund the purchase price for App to you; and to the maximum extent permitted by applicable law, Apple will have no other warranty obligation whatsoever with respect to App, and any other claims, losses, liabilities, damages, costs or expenses attributable to any failure to conform to any warranty will be MelonSoup’s sole responsibility. 10.5 Product Claims : MelonSoup and you acknowledge that MelonSoup, not Apple, is responsible for addressing any claims of you or any third party relating to App or your possession and/or use of App, including, but not limited to: (i) product liability claims; (ii) any claim that App fails to conform to any applicable legal or regulatory requirement; and (iii) claims arising under consumer protection or similar legislation. This Agreement does not limit MelonSoup’s liability to you beyond what is permitted by applicable law. 10.6 Intellectual Property Rights : MelonSoup and you acknowledge that, in the event of any third party claim that App or your possession and use of App infringes that third party’s intellectual property rights, MelonSoup, not Apple, will be solely responsible for the investigation, defense, settlement and discharge of any such intellectual property infringement claim. 10.7 Legal Compliance : You represent and warrant that (i) you are not located in a country that is subject to a U.S. Government embargo, or that has been designated by the U.S. Government as a “terrorist supporting” country; and (ii) you are not listed on any U.S. Government list of prohibited or restricted parties. 10.8 Developer Name and Address : MelonSoup’s contact information for any end-user questions, complaints or claims with respect to App is set forth in Section 9.2. 10.9 Third Party Terms of Agreement : You must comply with applicable third party terms of agreement when using App. 10.10 Third Party Beneficiary : MelonSoup and you acknowledge and agree that Apple, and Apple’s subsidiaries, are third party beneficiaries of this Agreement, and that, upon your acceptance of the terms and conditions of this Agreement, Apple will have the right (and will be deemed to have accepted the right) to enforce this Agreement against you as a third party beneficiary there of.